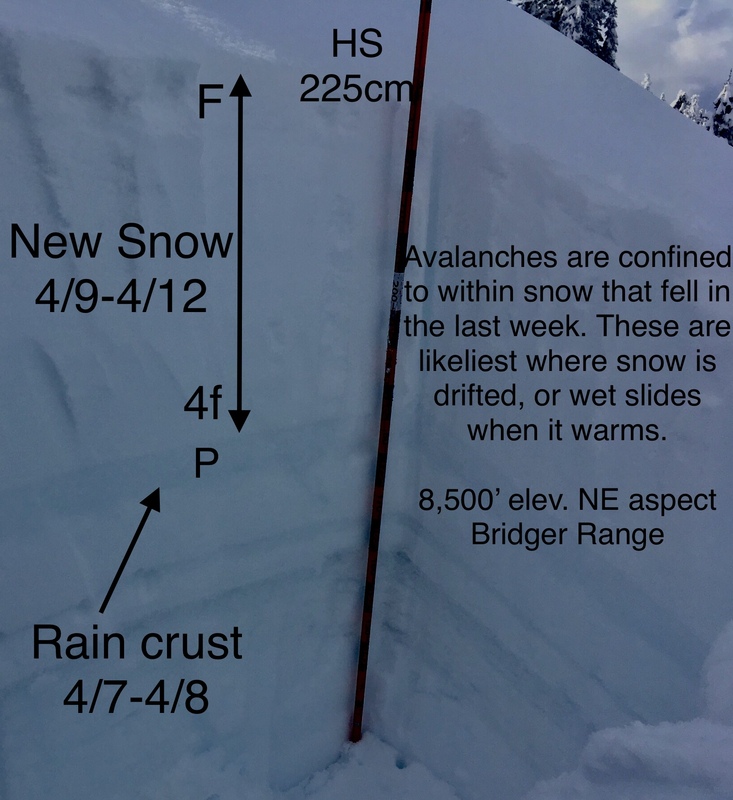 Bottom Line: This week expect classic spring snowpack conditions, with great variability throughout the day and between aspect and elevation. 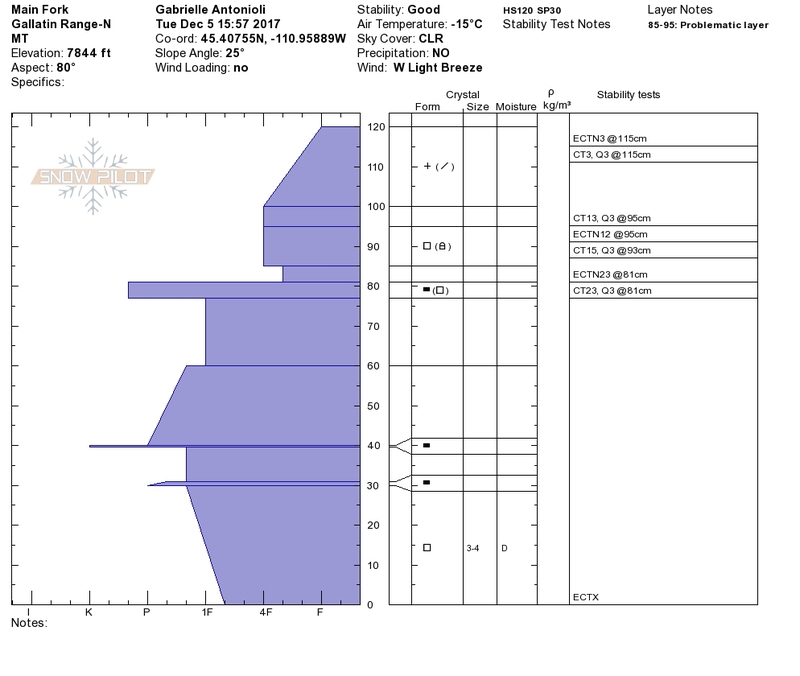 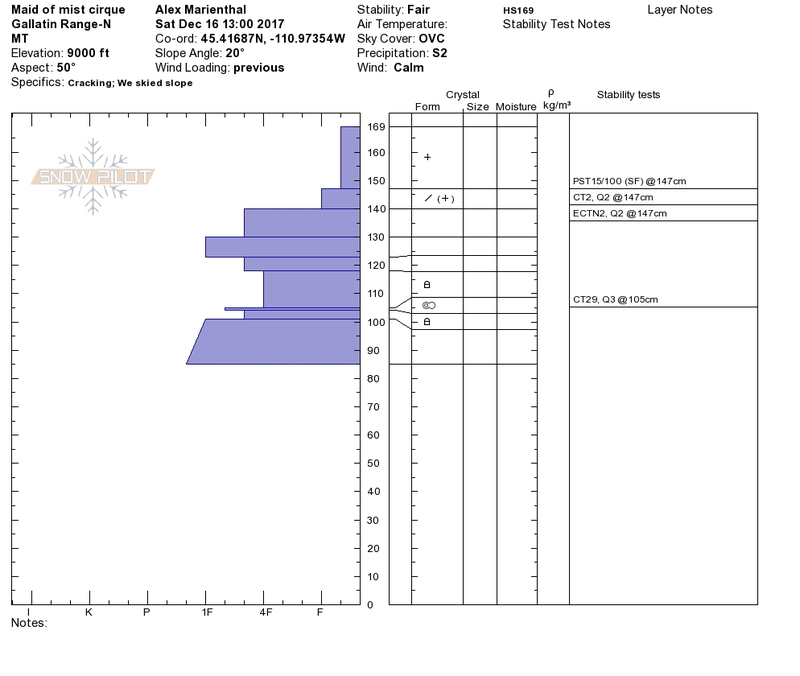 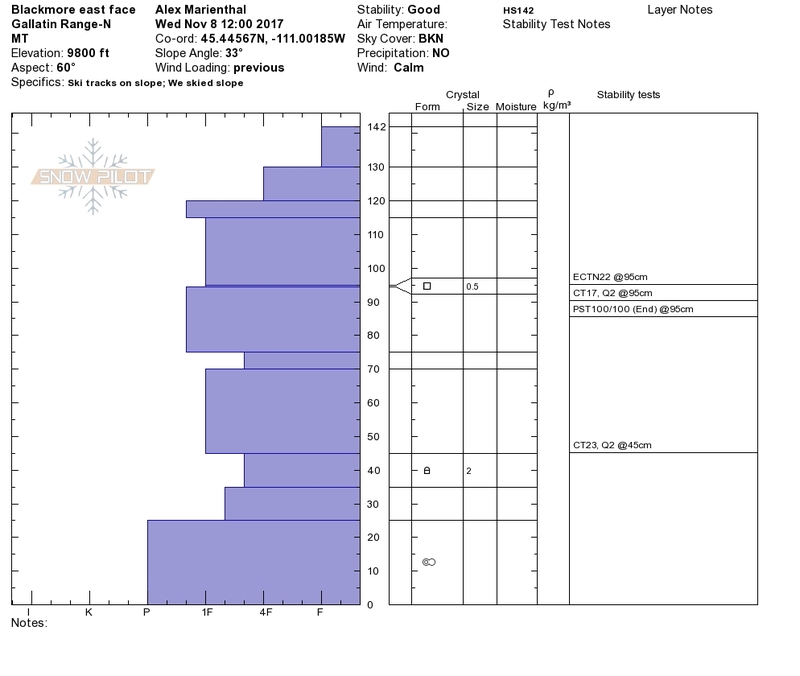 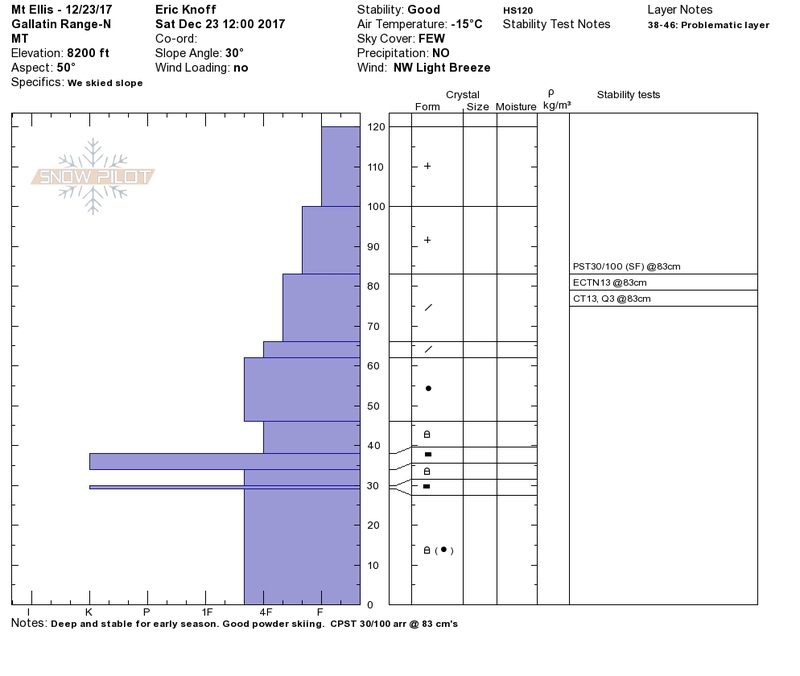 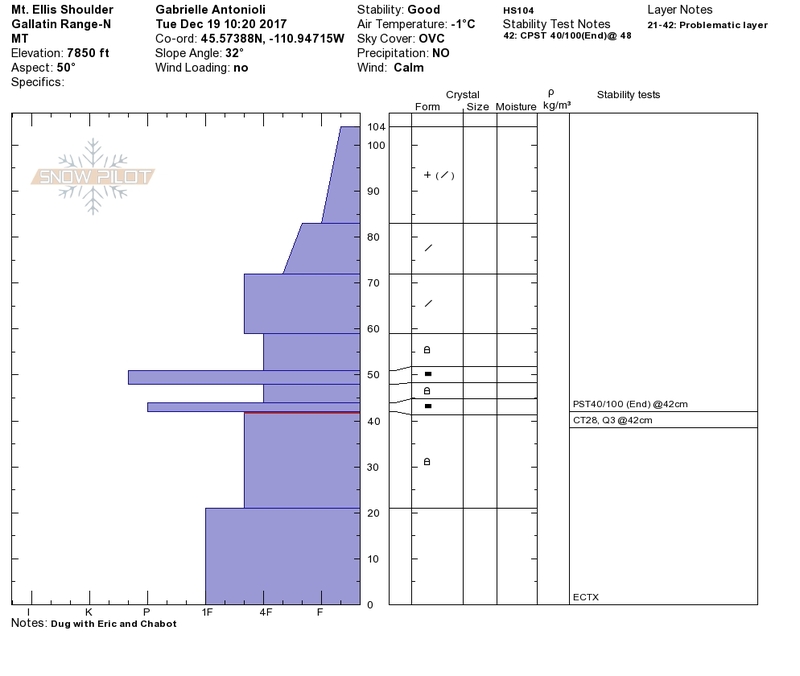 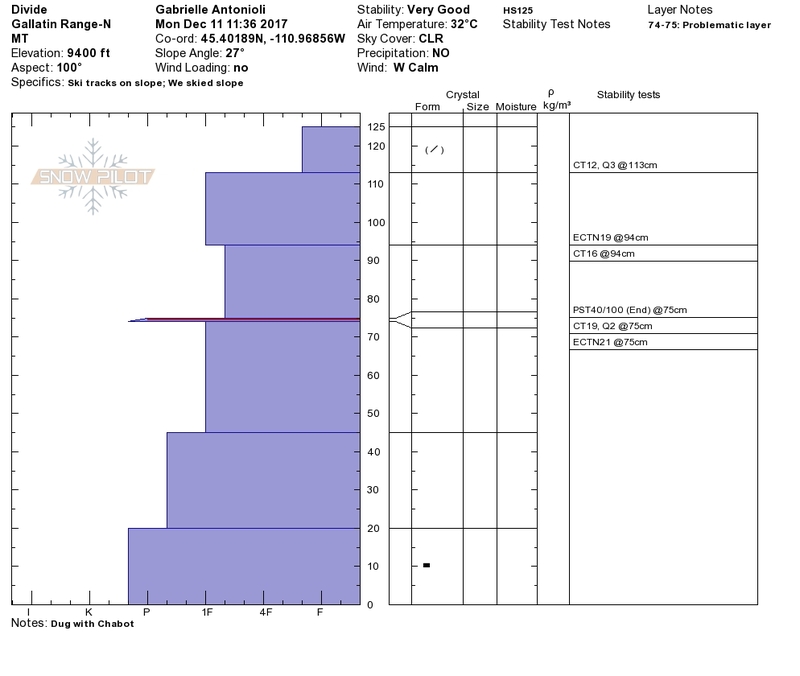 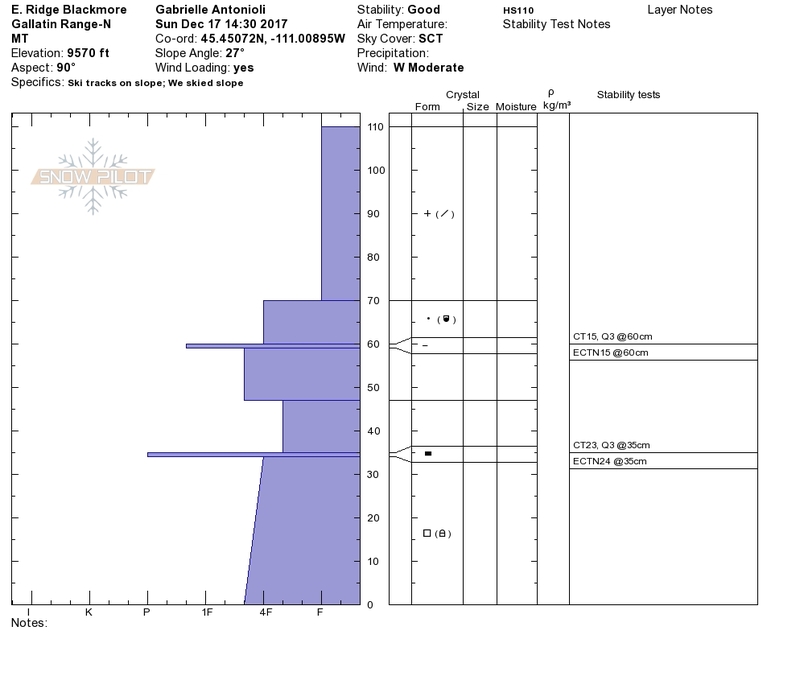 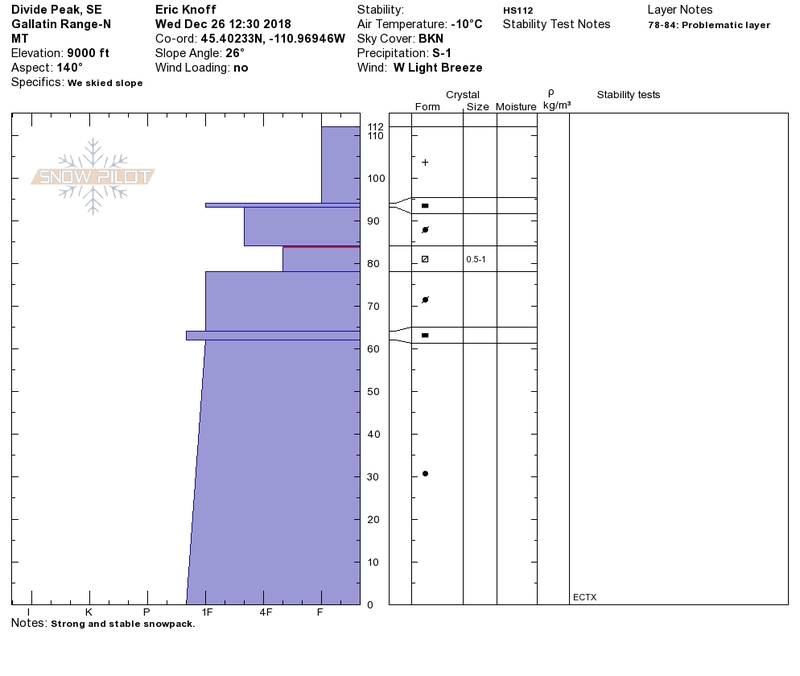 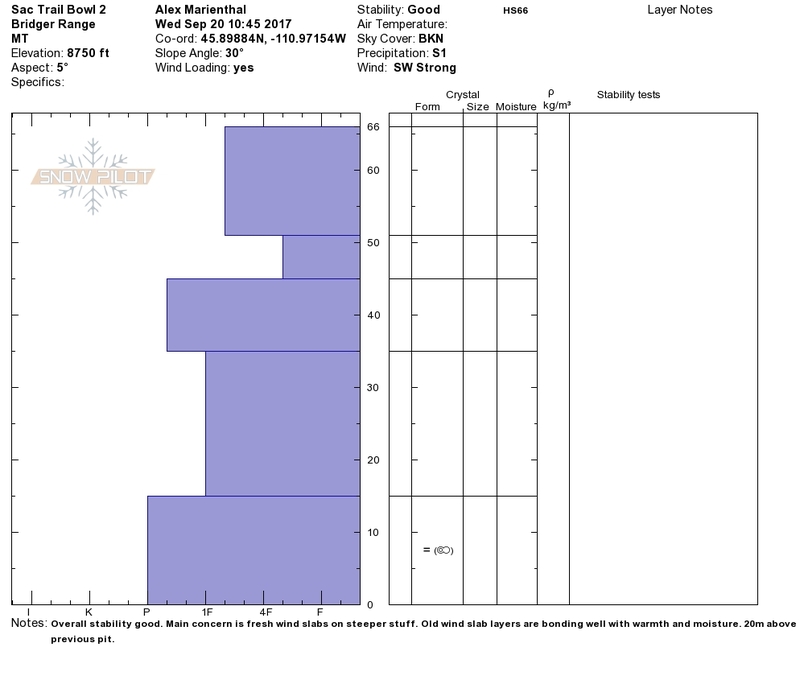 Ideally the snowpack will be mostly frozen and stable in the morning, and then it will inevitably soften and lose strength through the day. 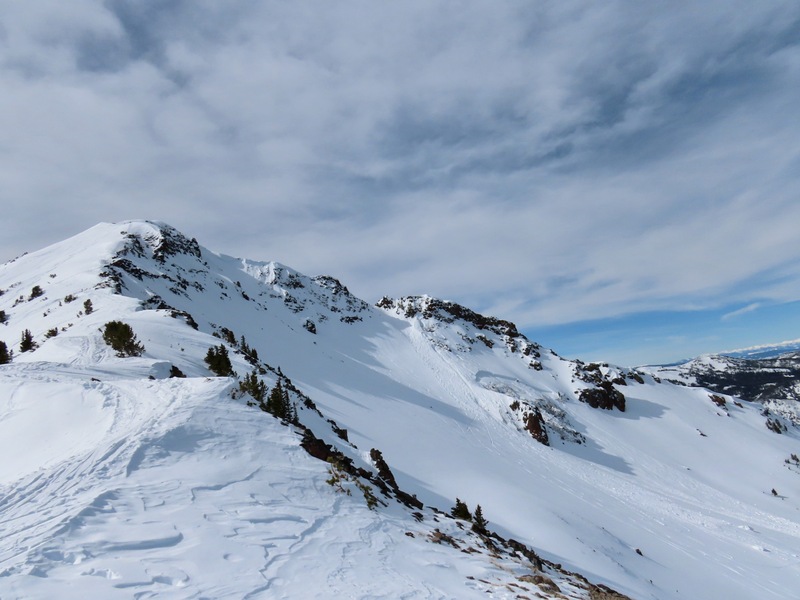 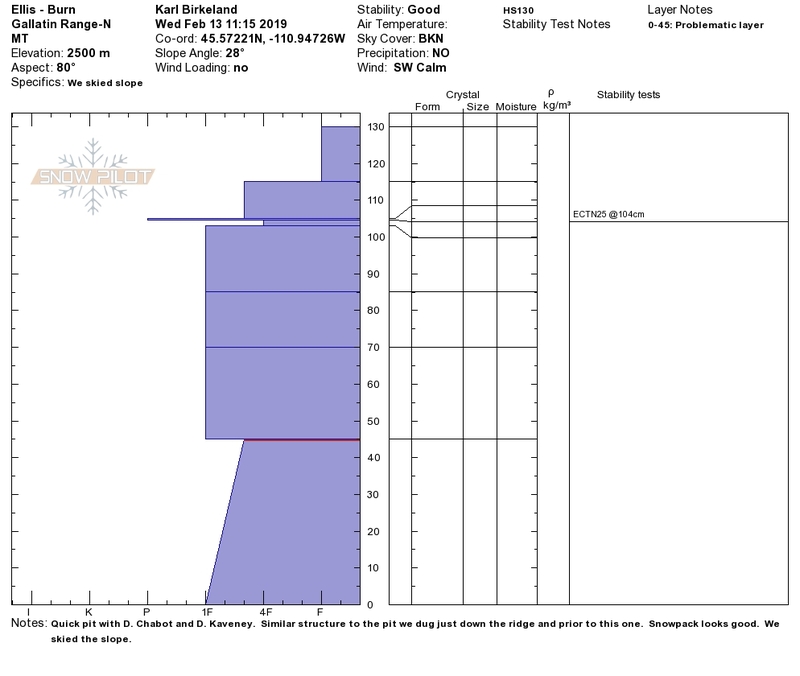 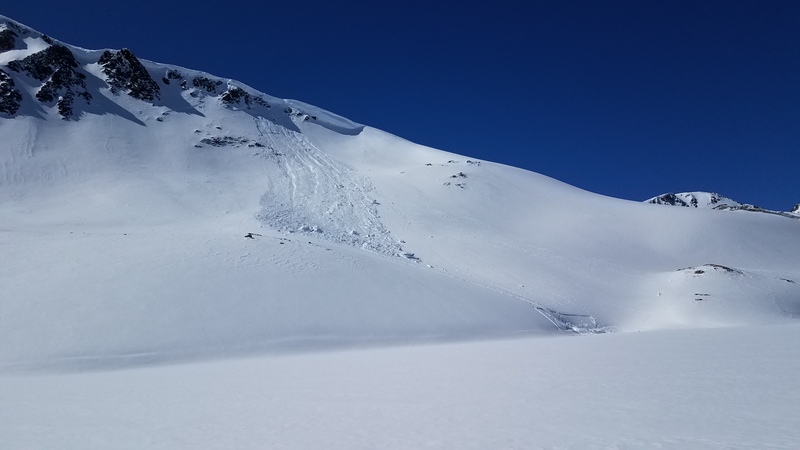 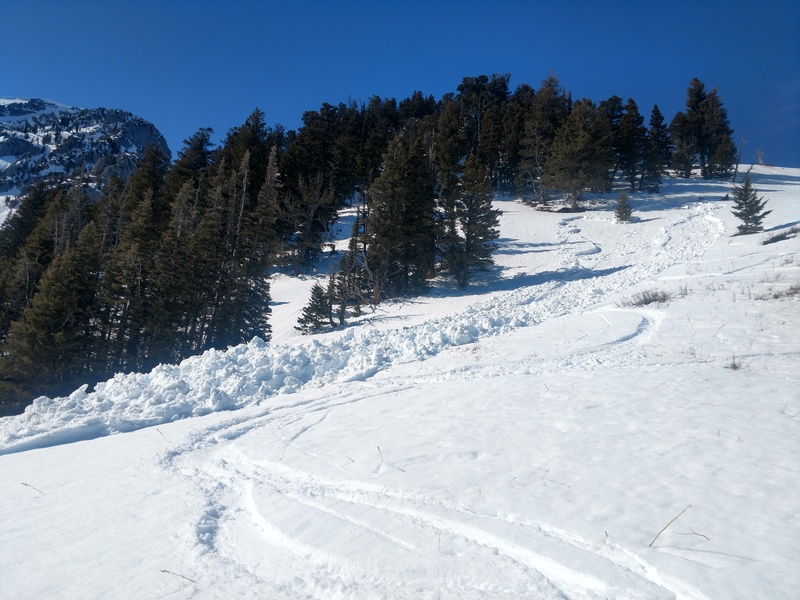 Be diligent with route finding and snowpack assessment, anticipate changing conditions, pay attention to unexpected findings, and have a safe route to bail at any time. 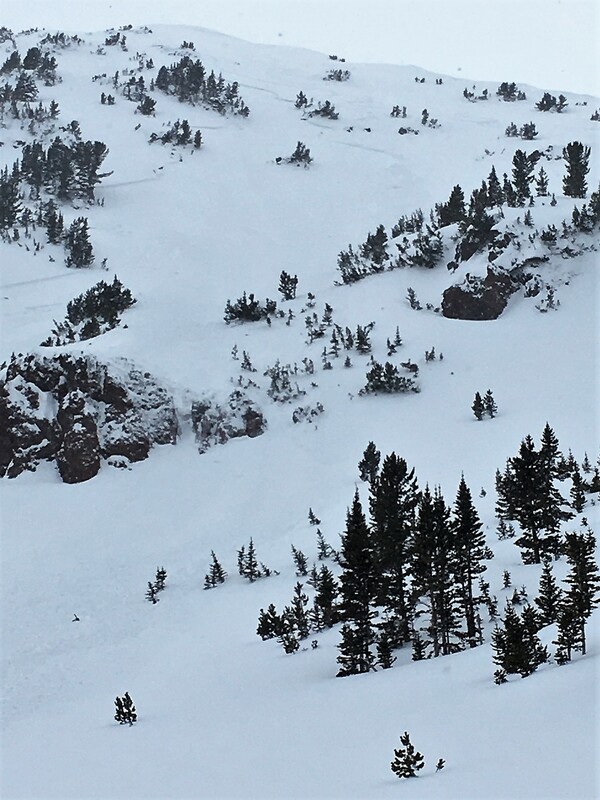 Consider terrain you will have to travel across or underneath later in the day when natural wet slides may occur or be easier to trigger. 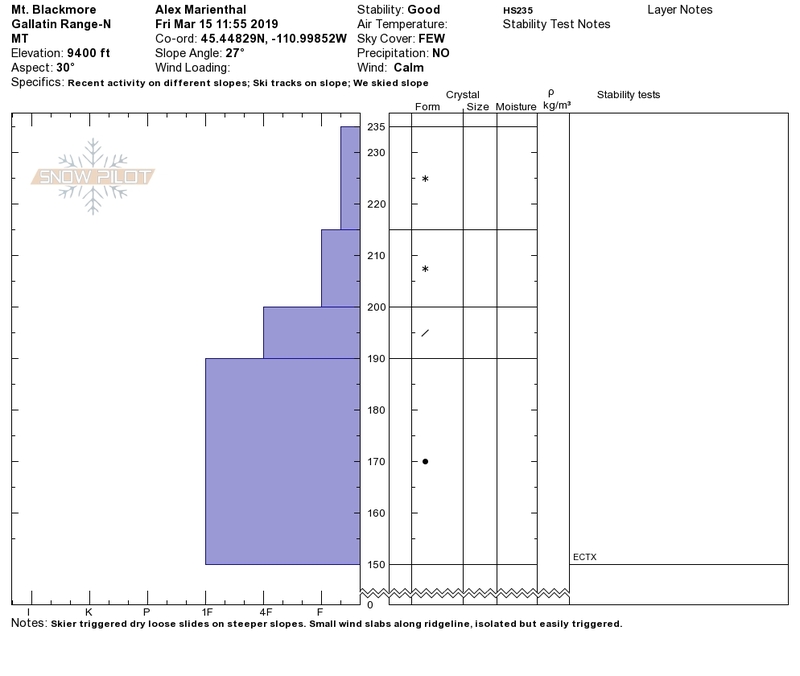 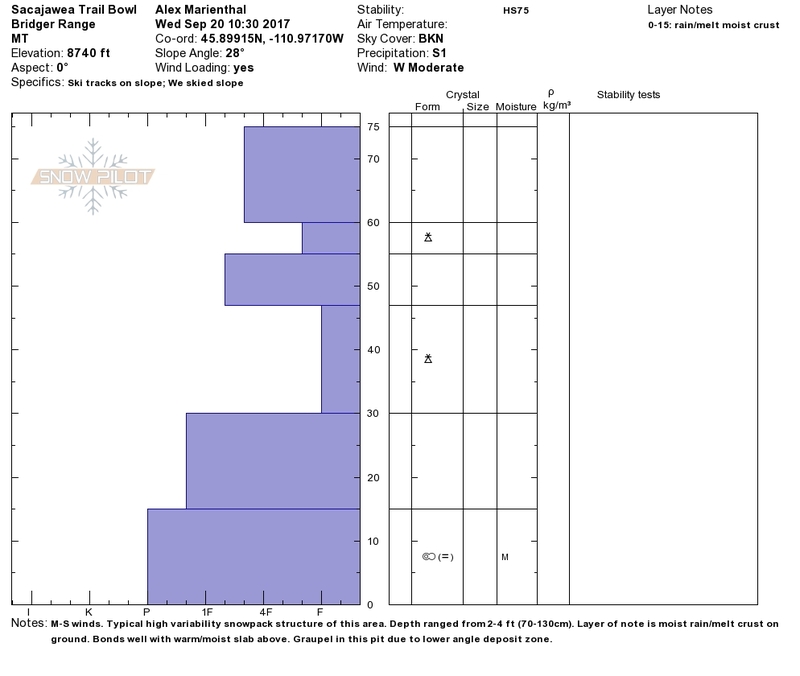 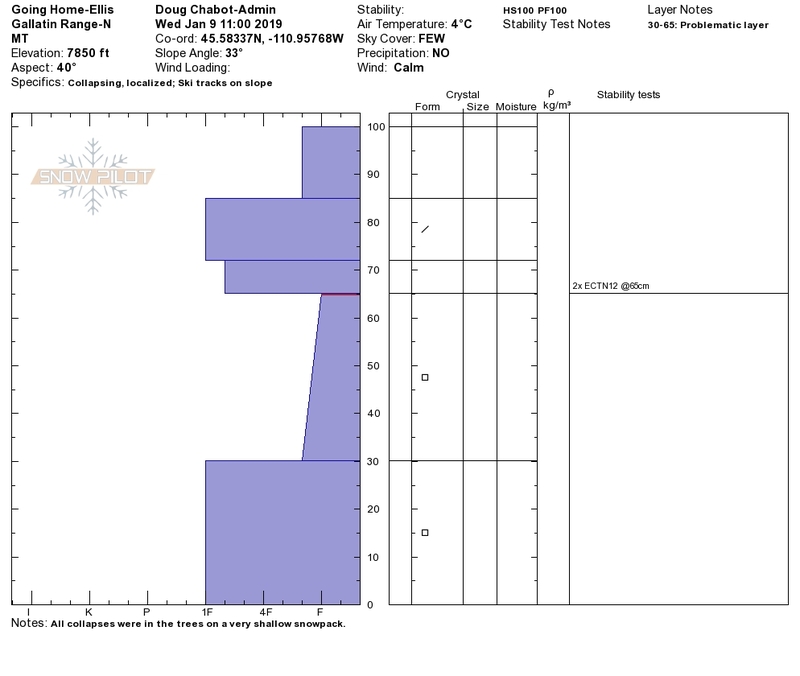 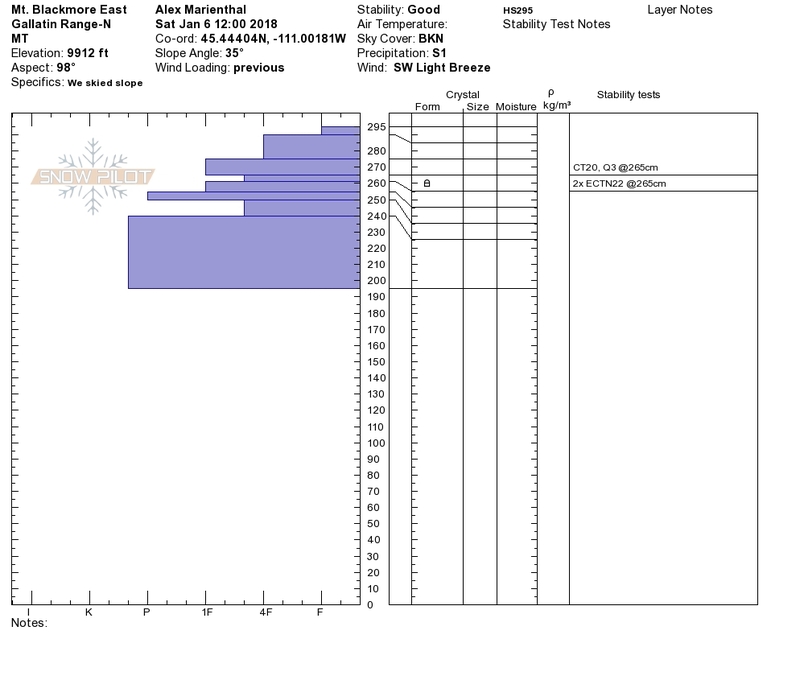 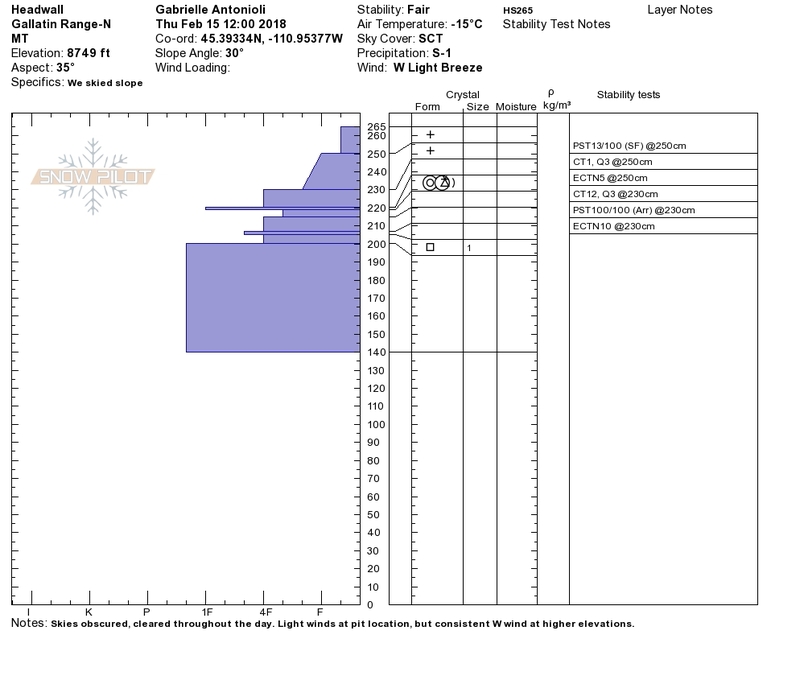 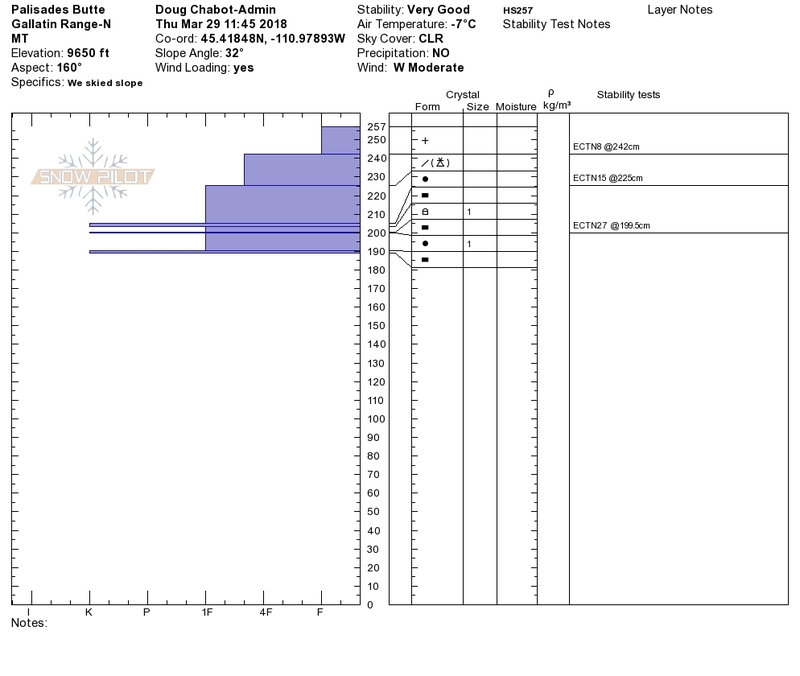 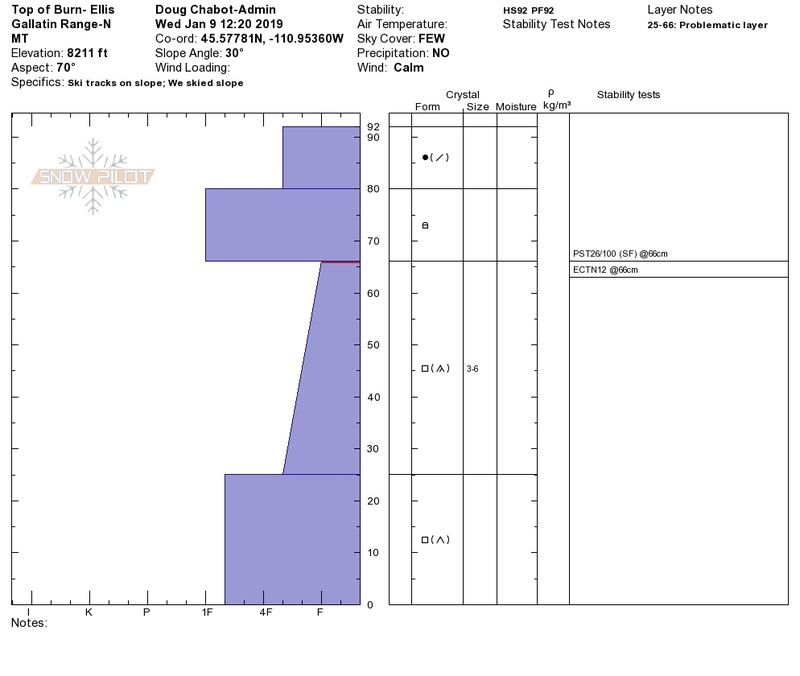 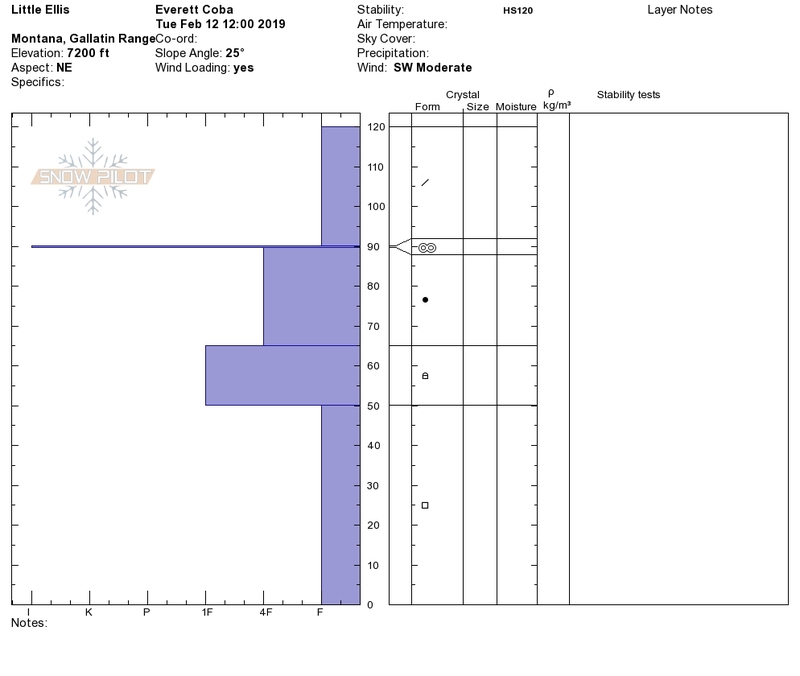 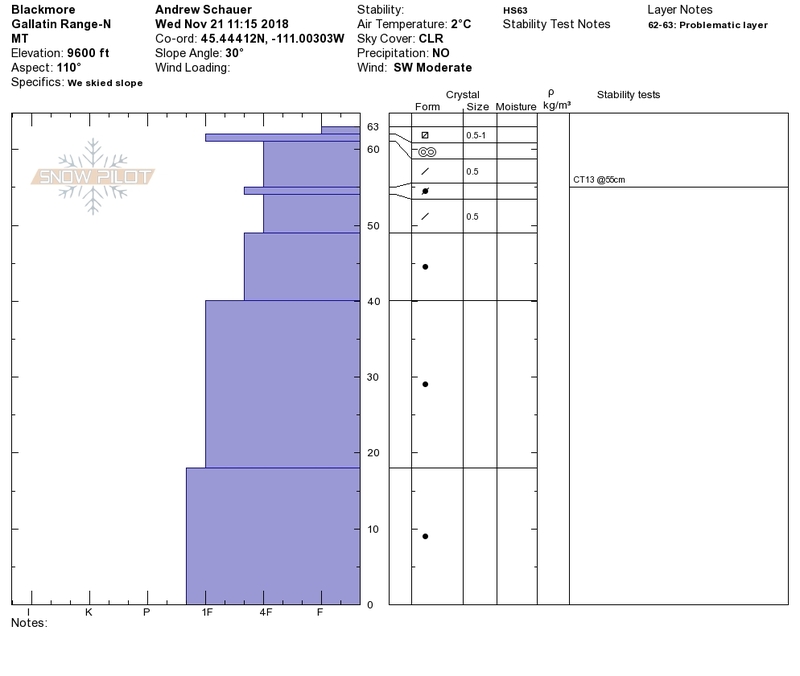 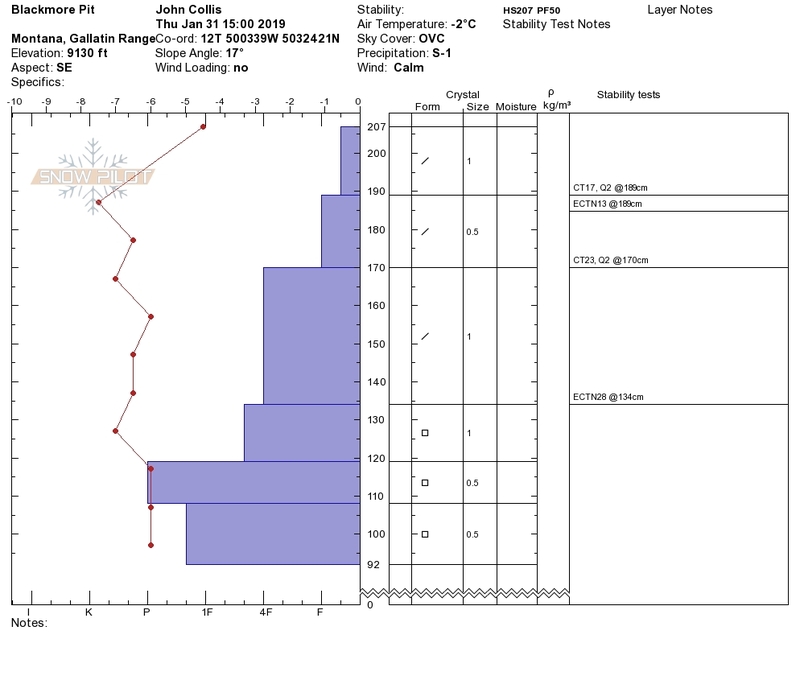 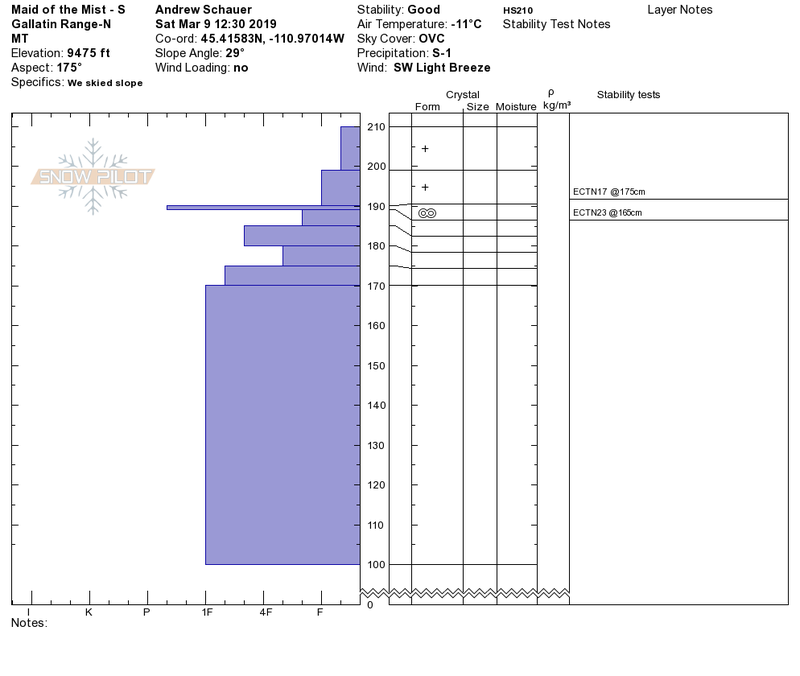 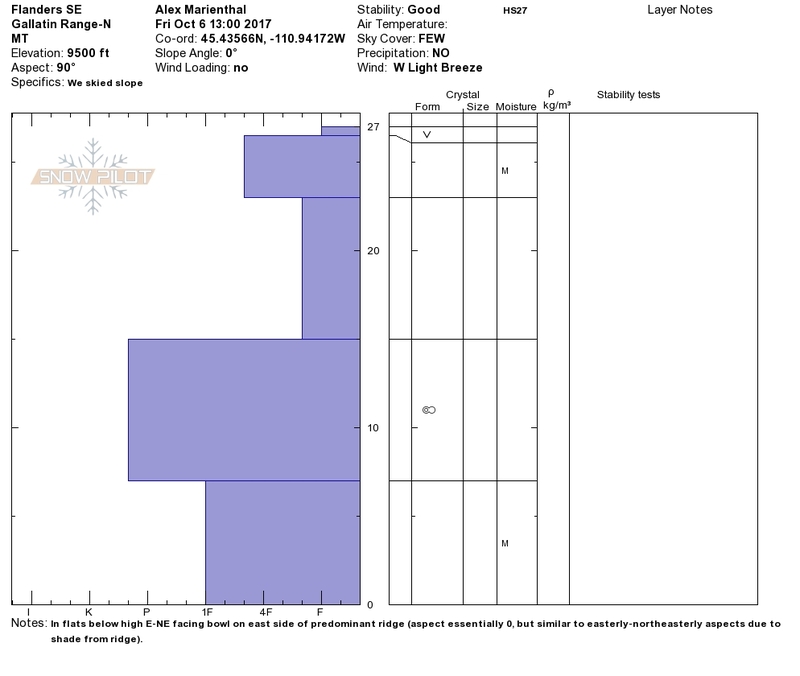 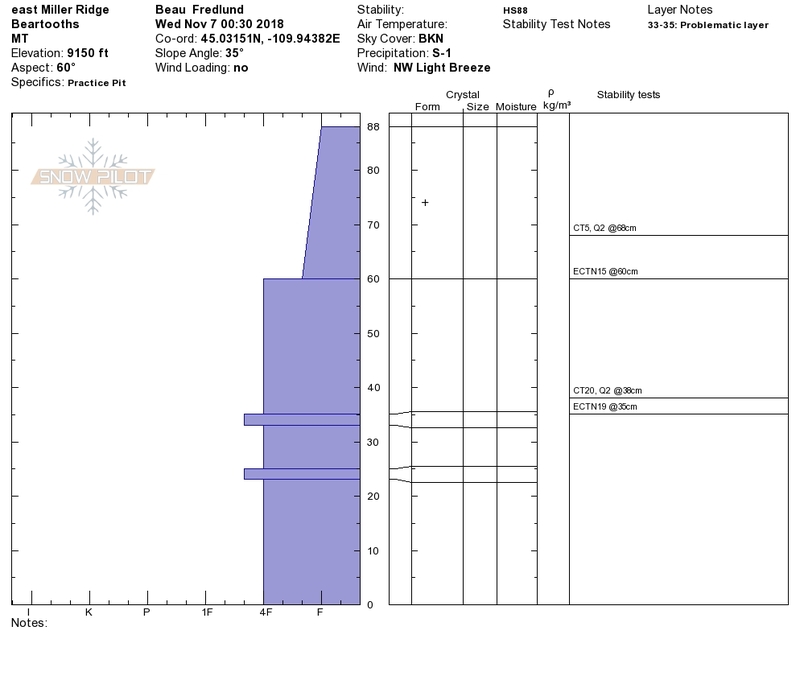 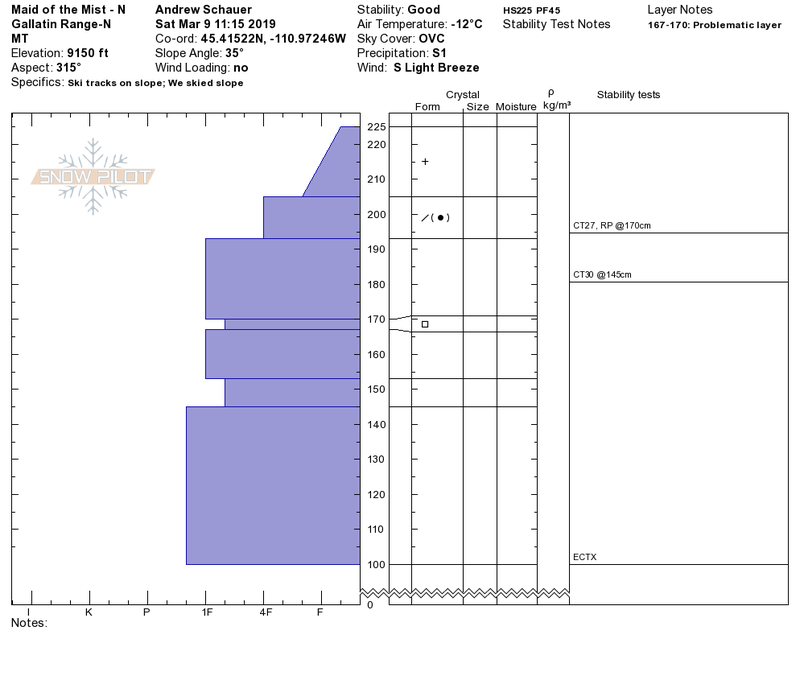 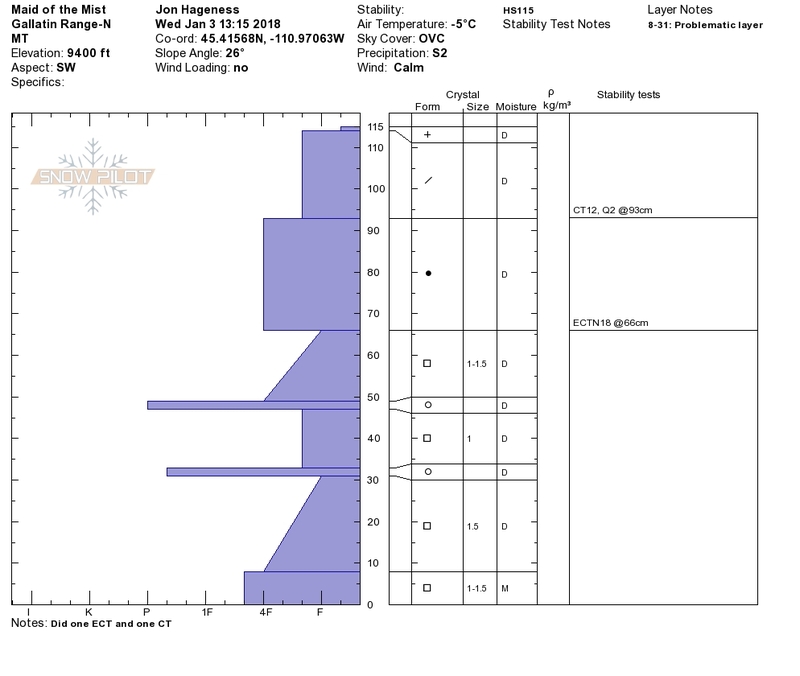 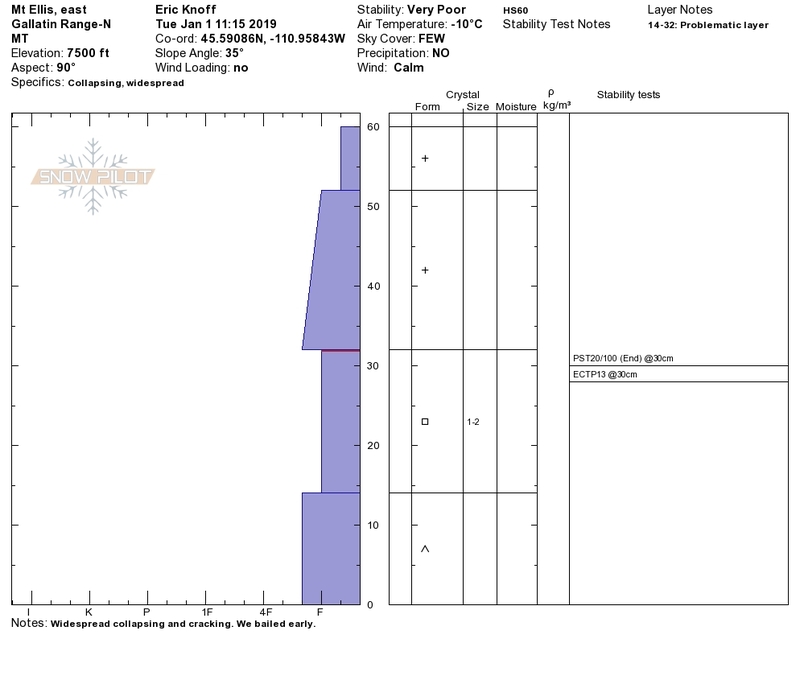 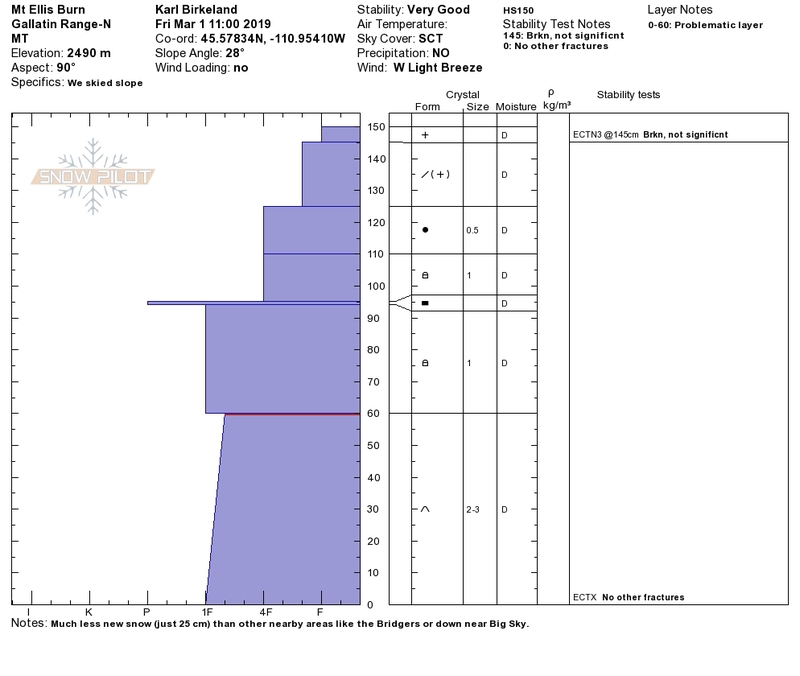 See our forecast page for general spring snowpack and travel advice. 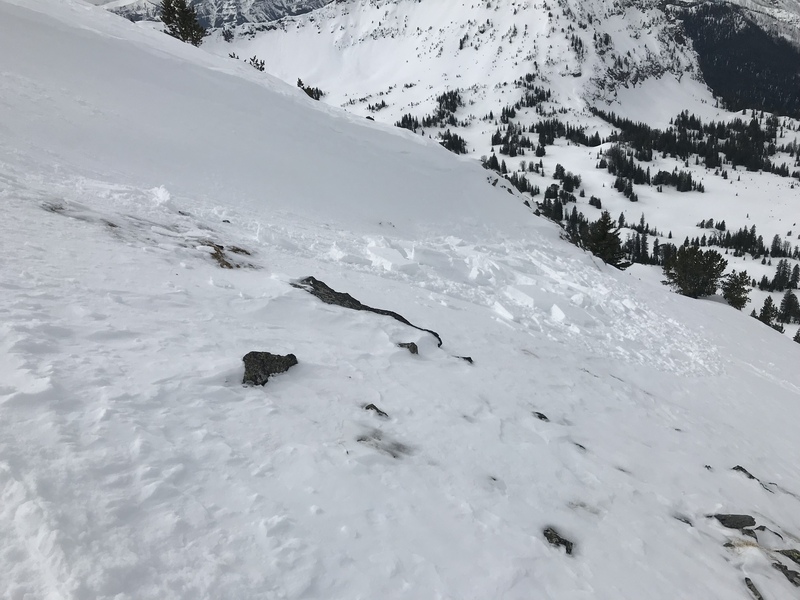 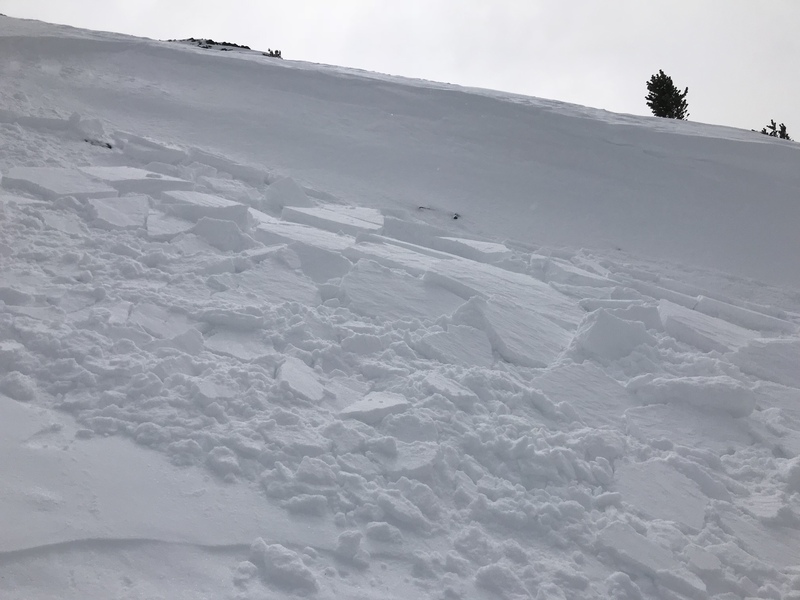 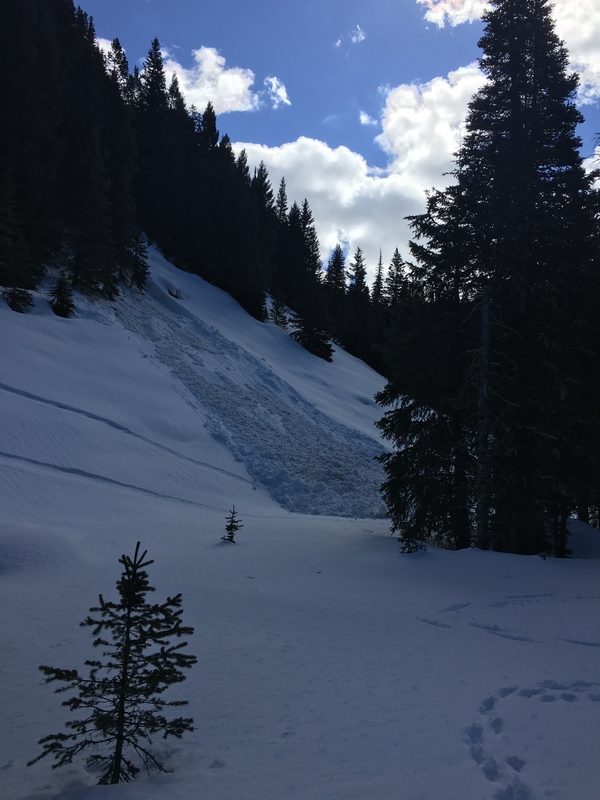 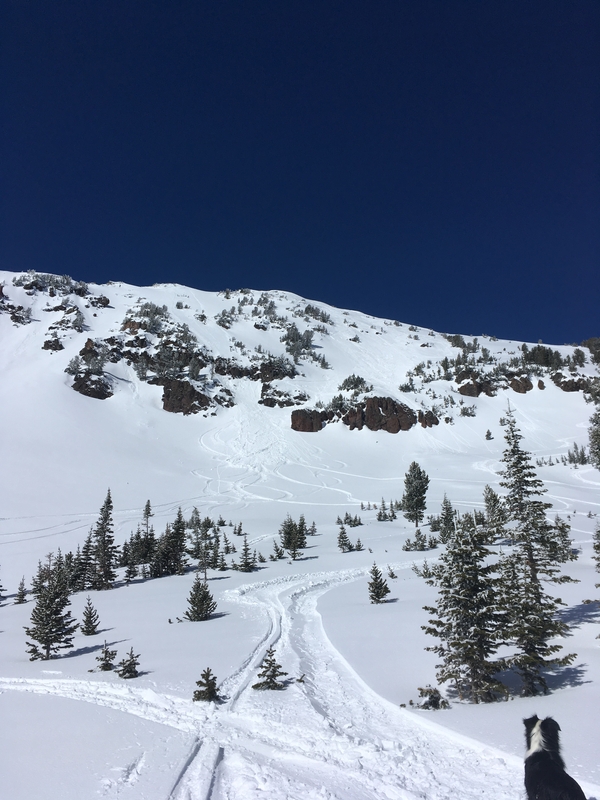 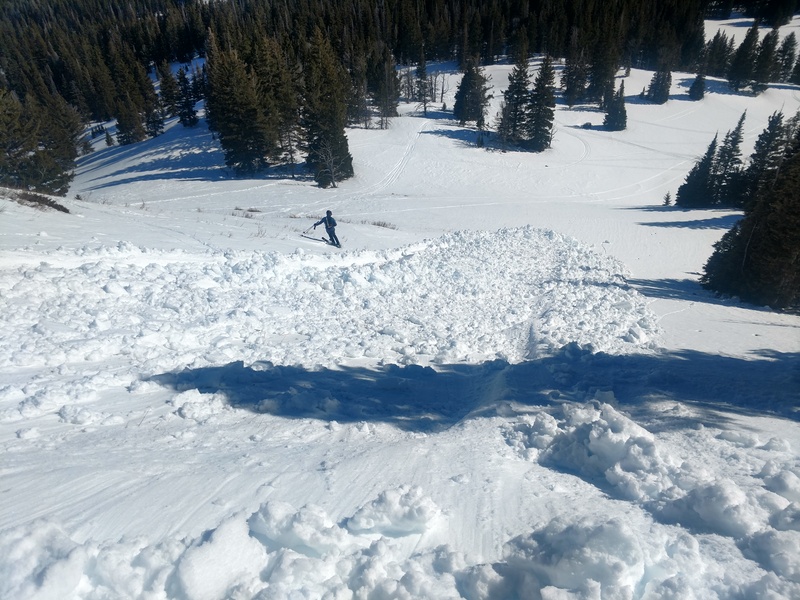 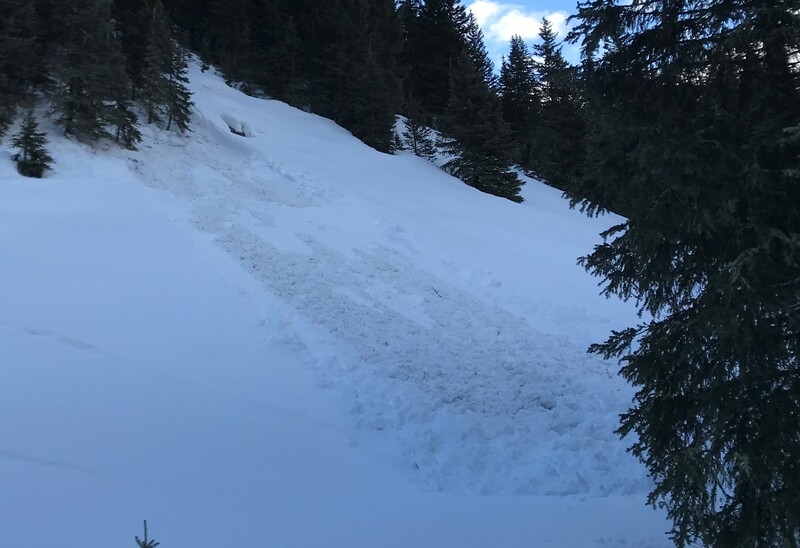 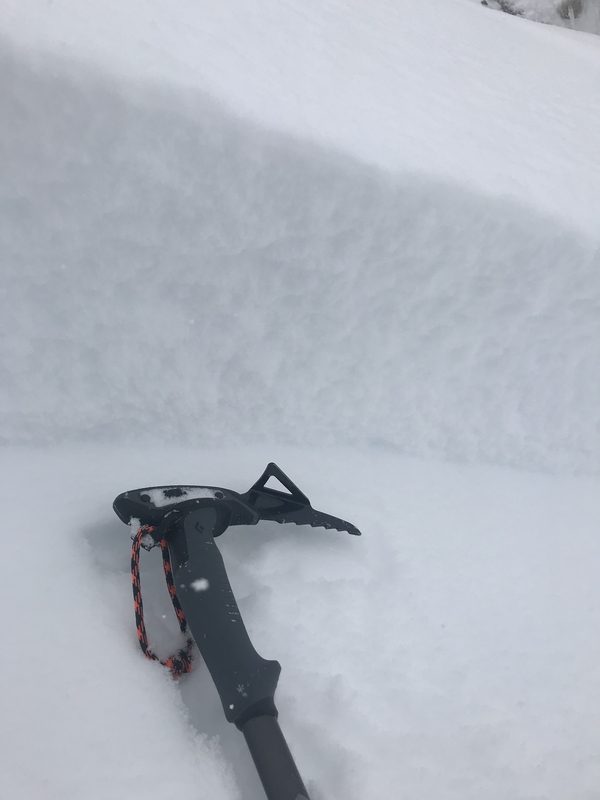 A snowmobiler saw this recent activity on Saturday 3/9/19 on Cedar Mountain near Big Sky. 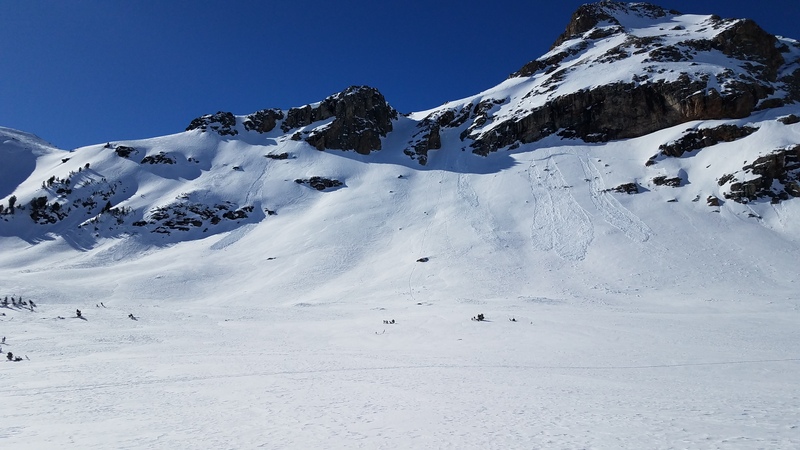 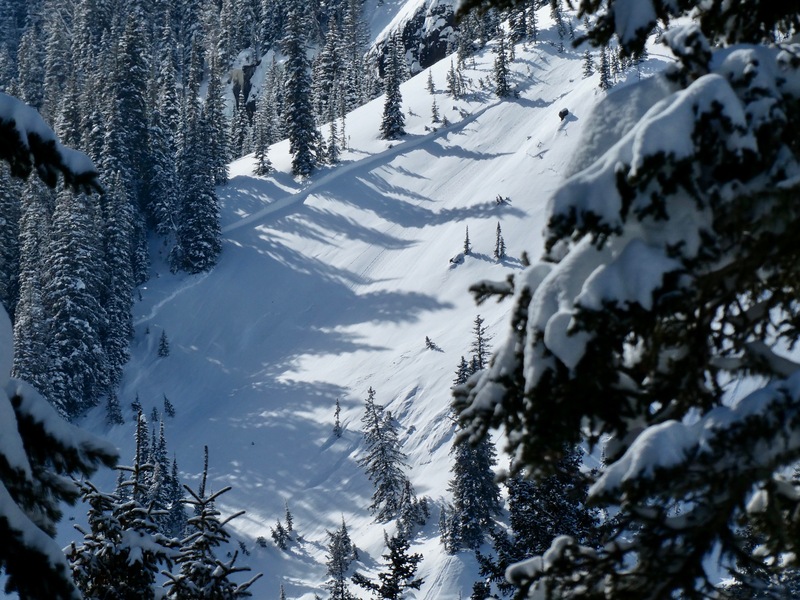 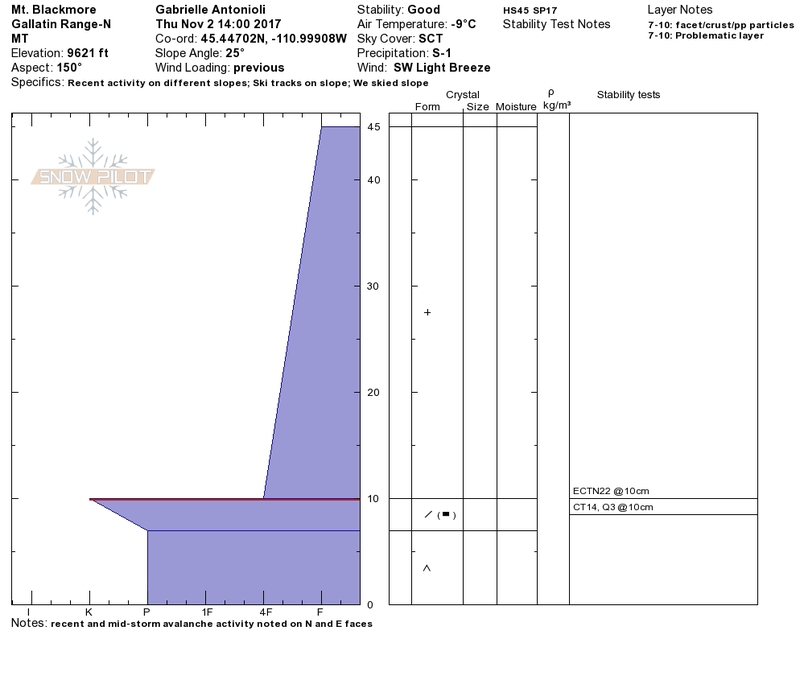 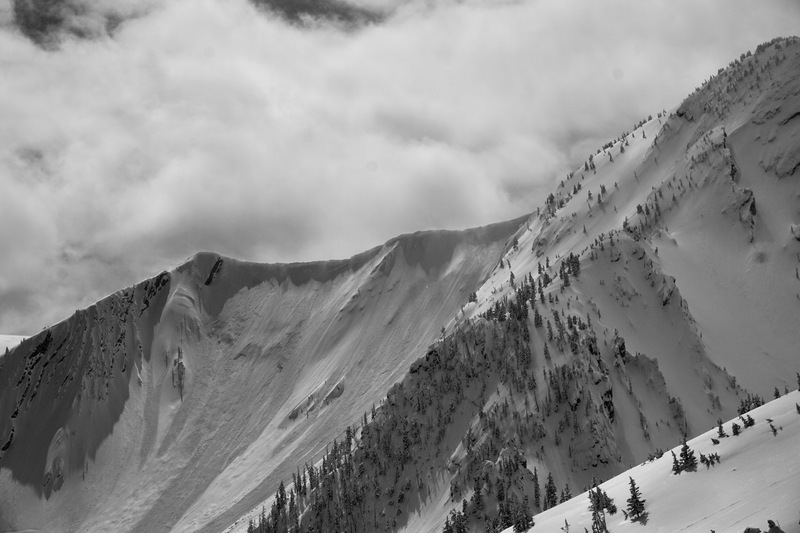 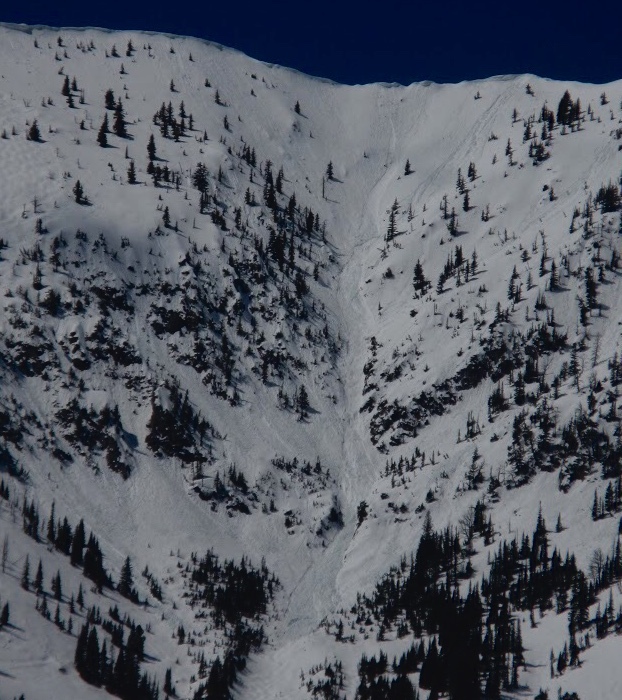 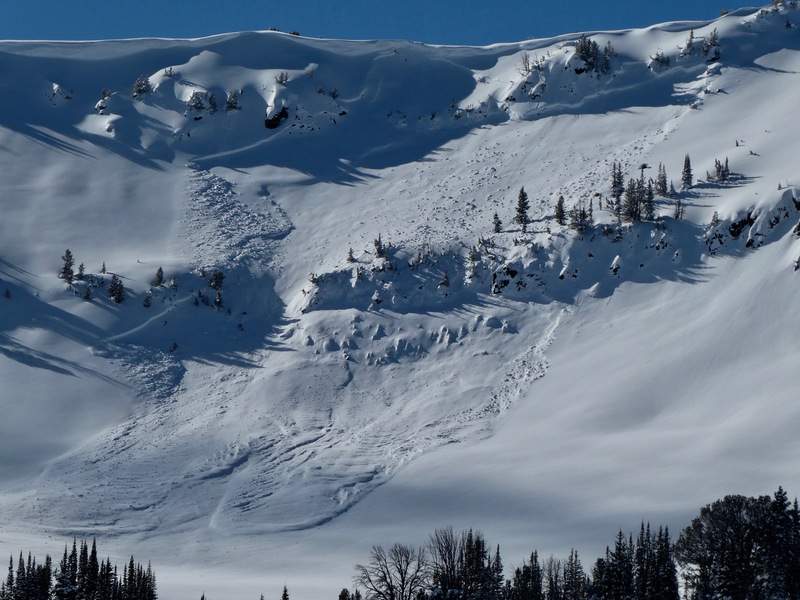 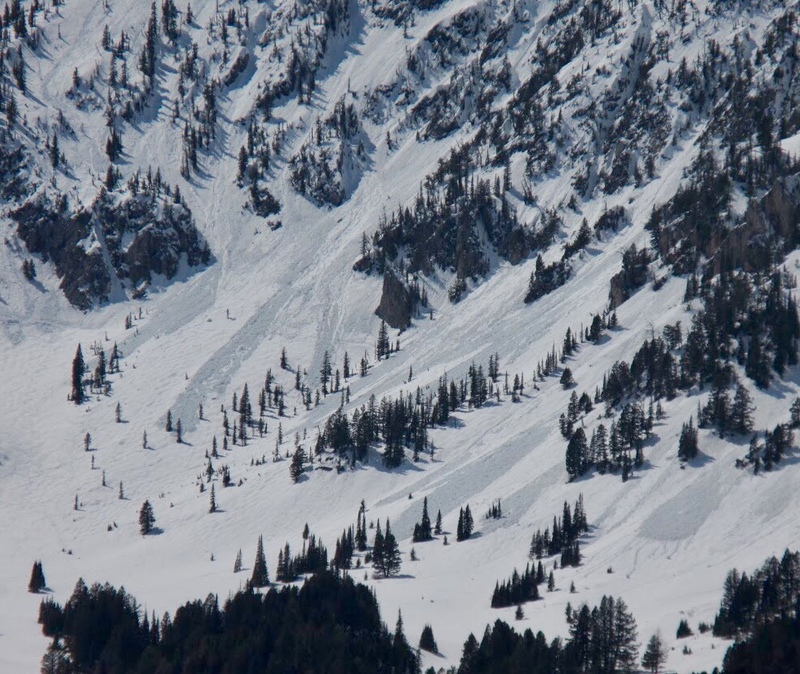 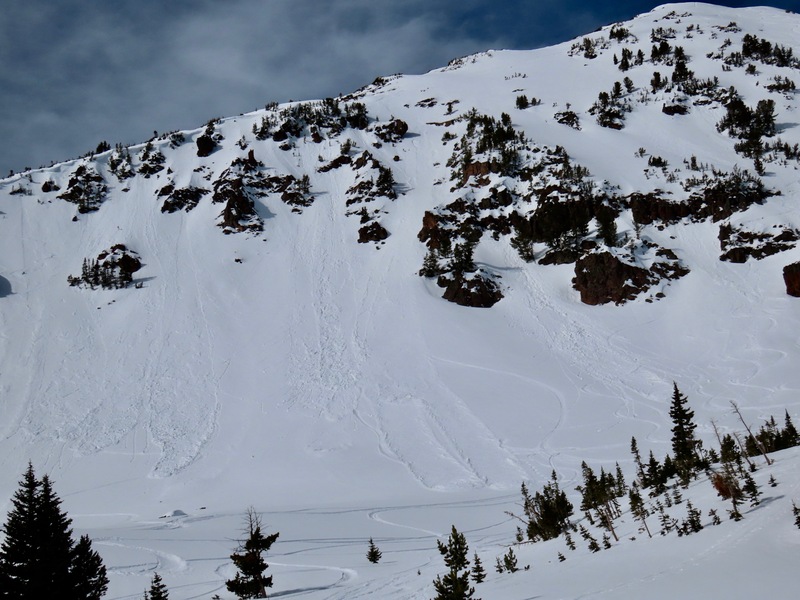 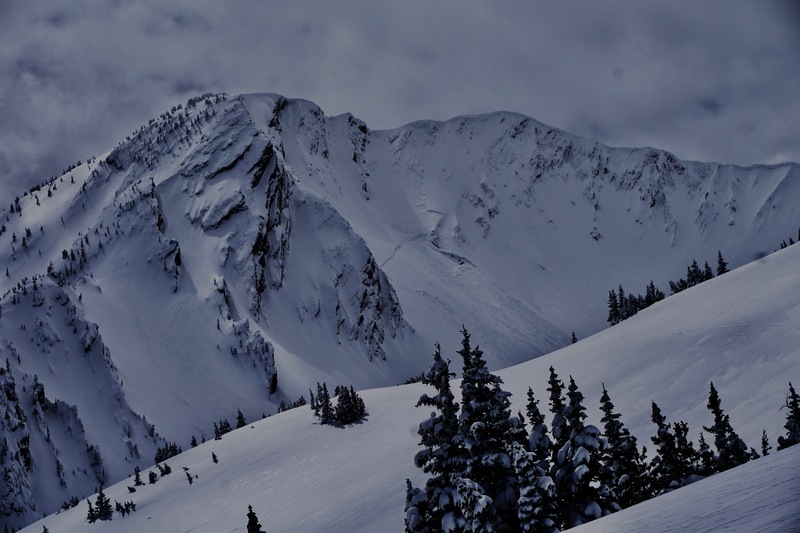 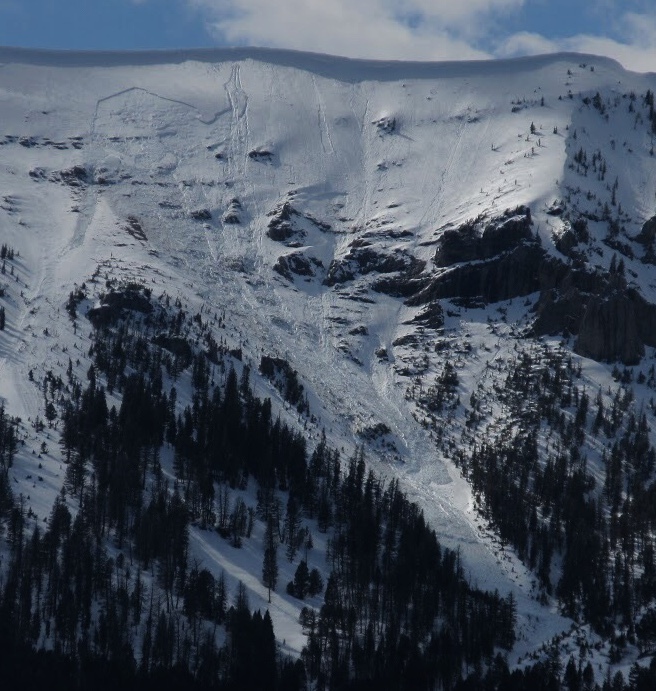 This slide on the NE face of Blackmore was triggered by the second skier. 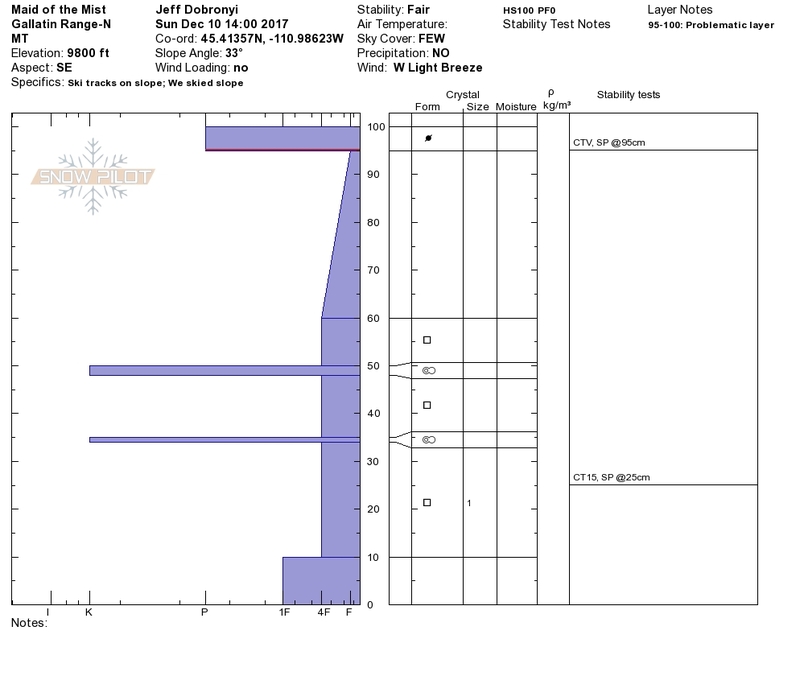 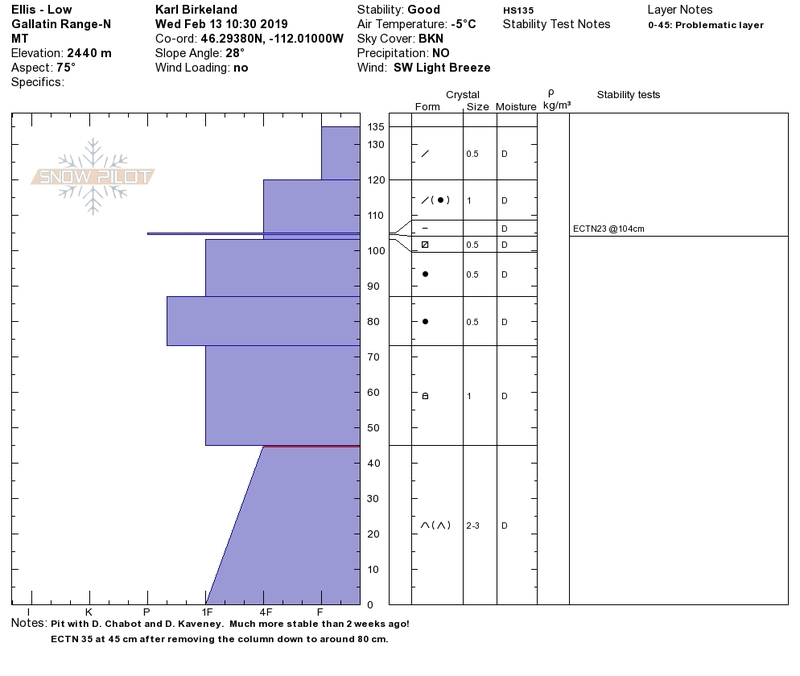 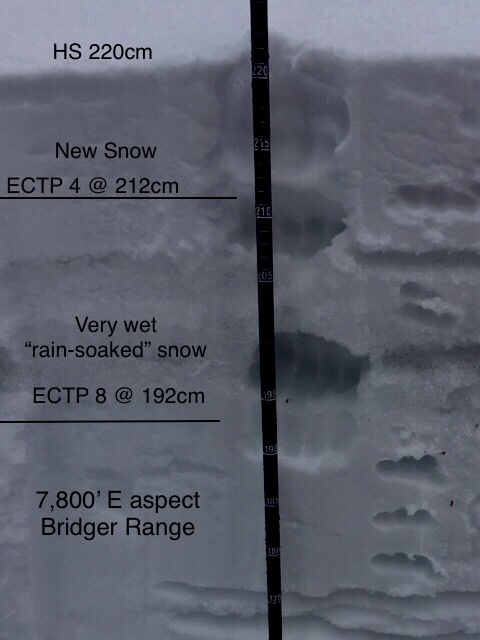 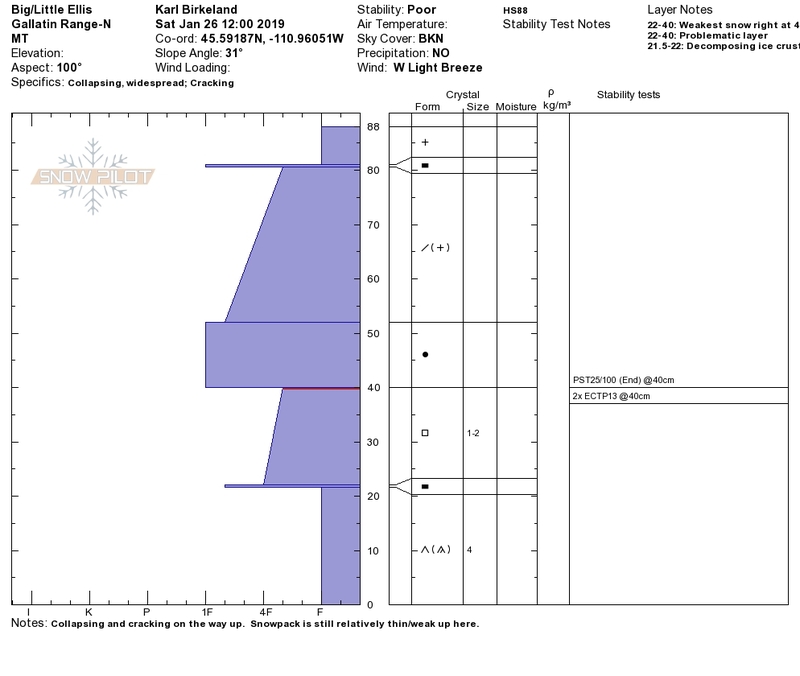 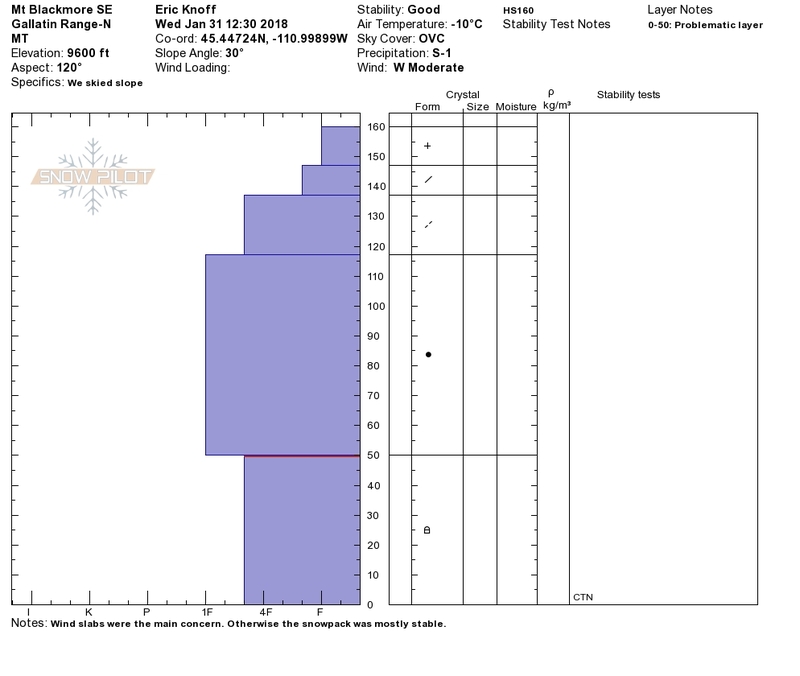 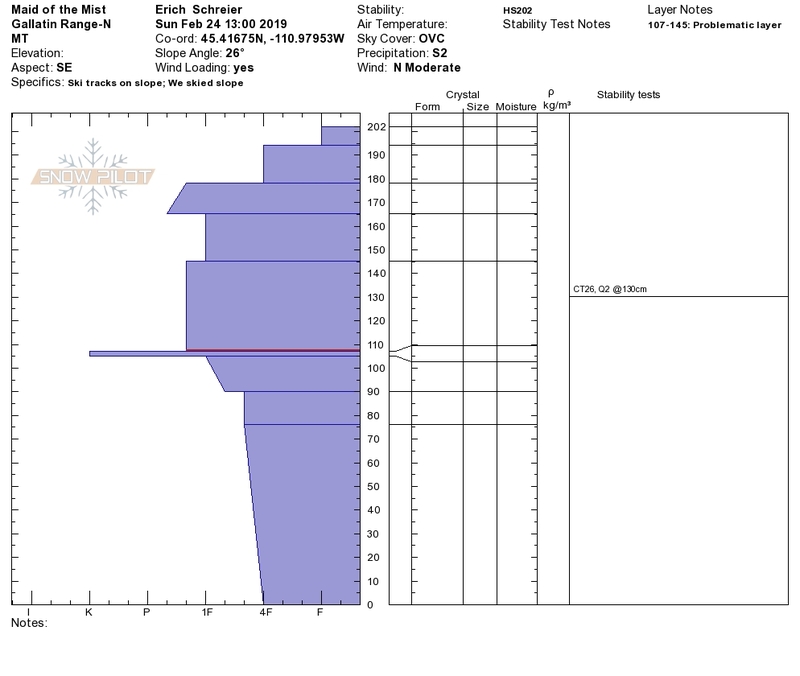 It was 8-12" deep and 100' wide and likely failed on small faceted crystals underneath the new snow. 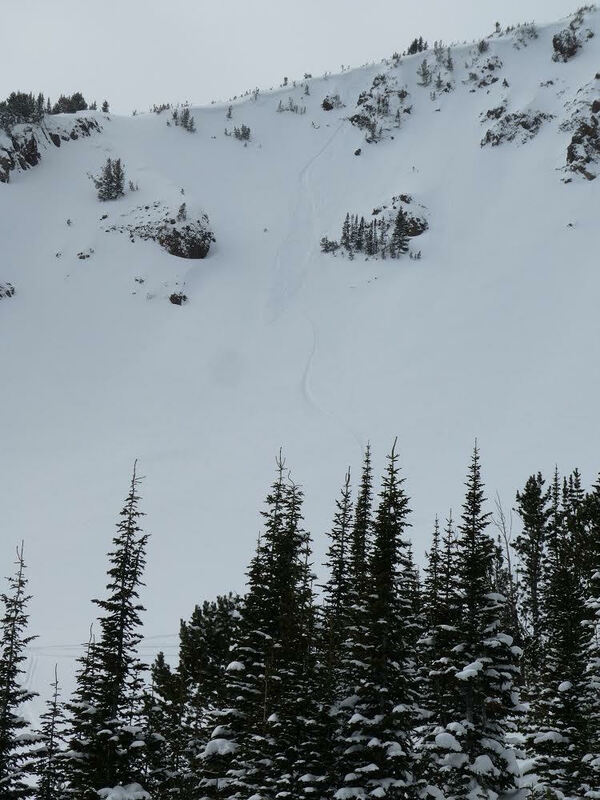 No one was caught. 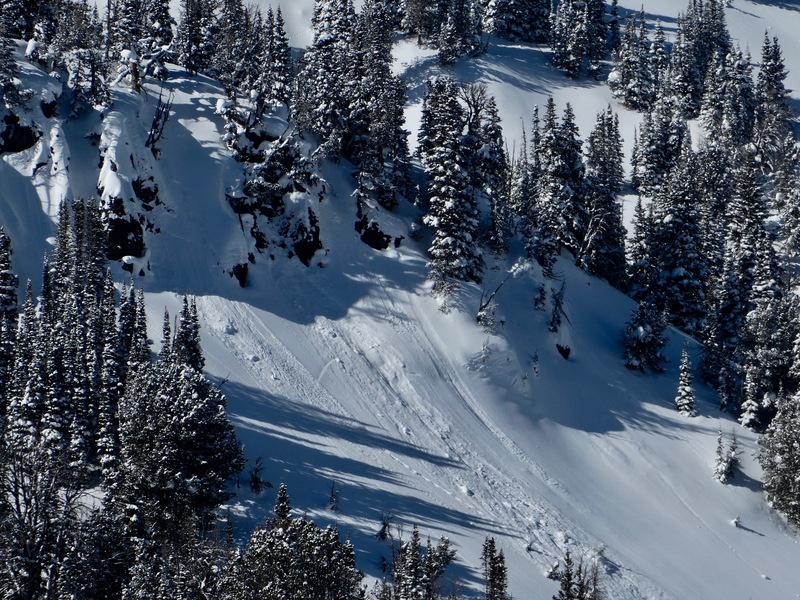 Going one at a time was good travel behavior that can save our lives when things go wrong. 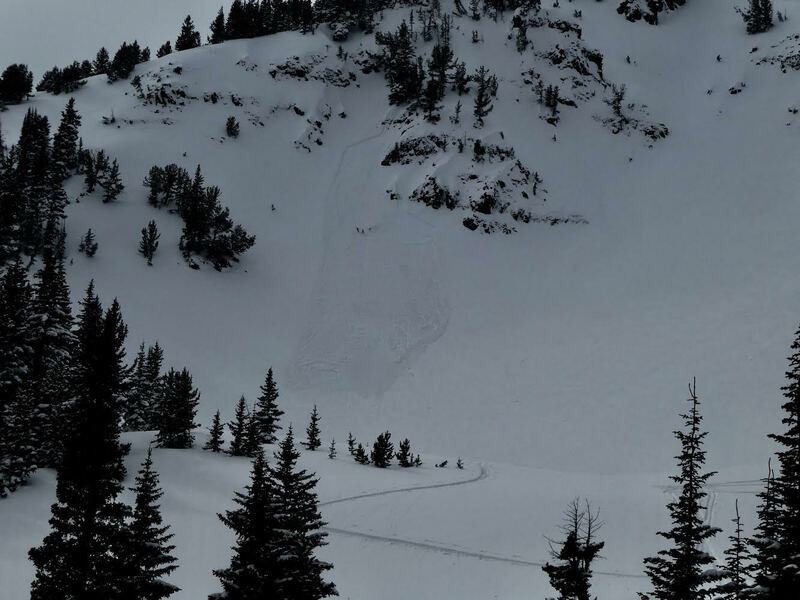 A natural avalanche that broke within the new snow on the east face of Mount Blackmore. 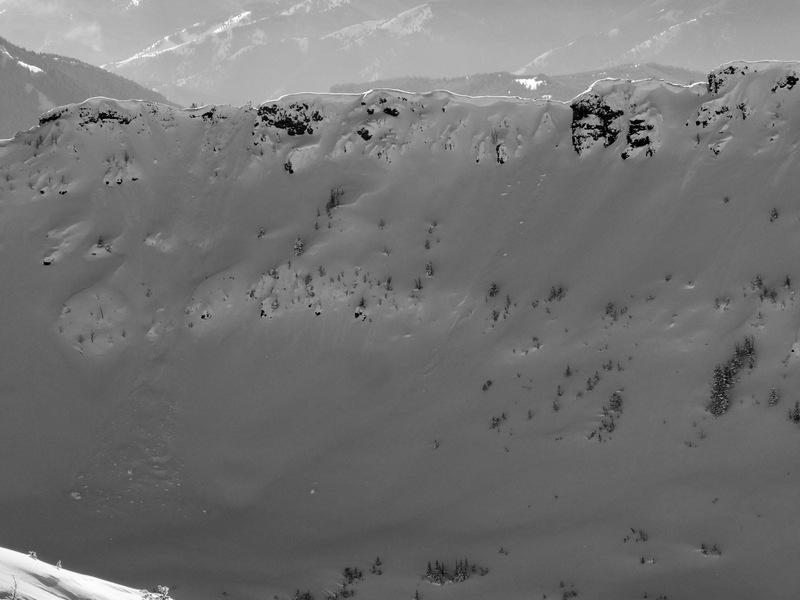 Photo: G. Antonioli. 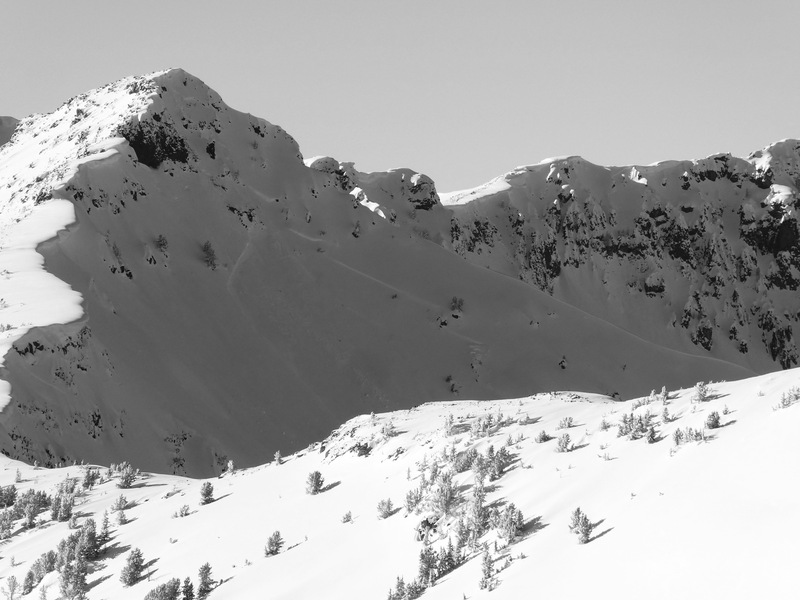 Bacon Rind is looking good! 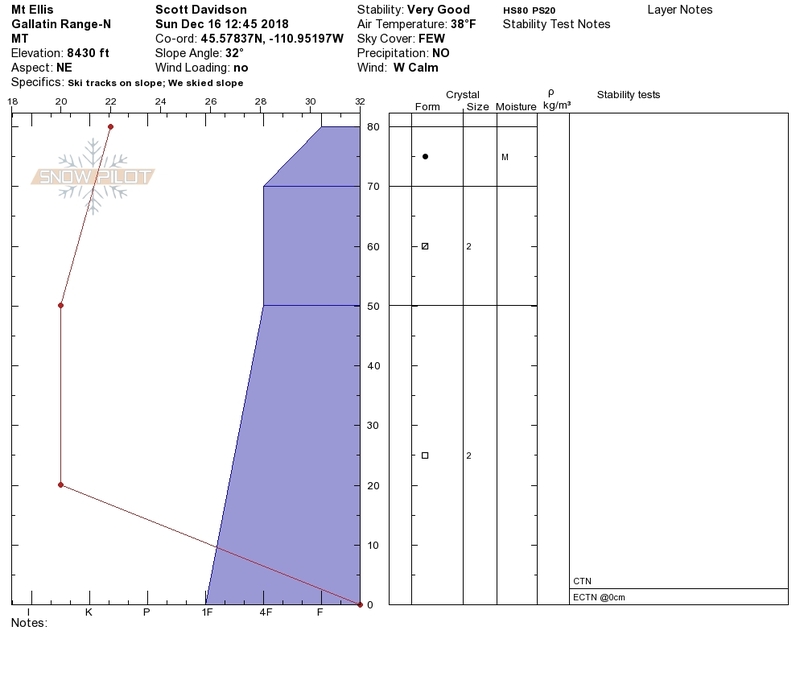 "So THAT is what wind-loading looks like!" 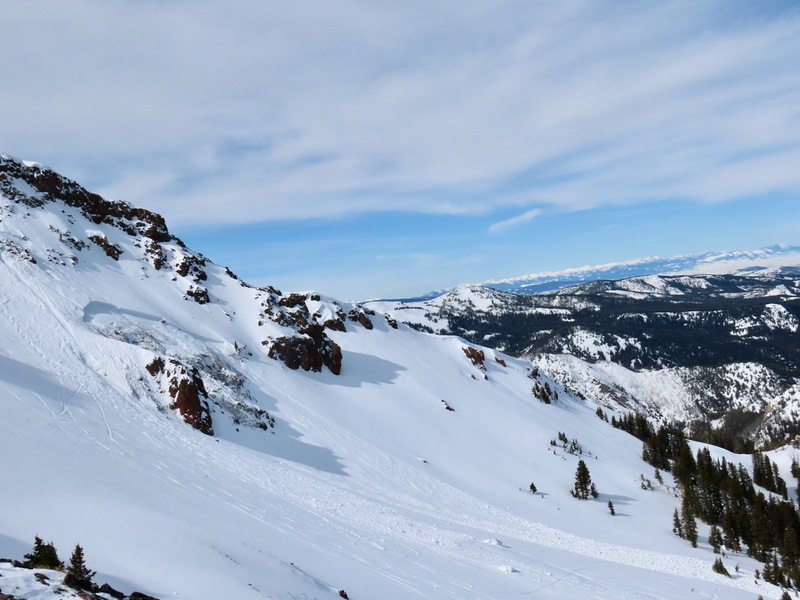 5 secs of ripping wind! 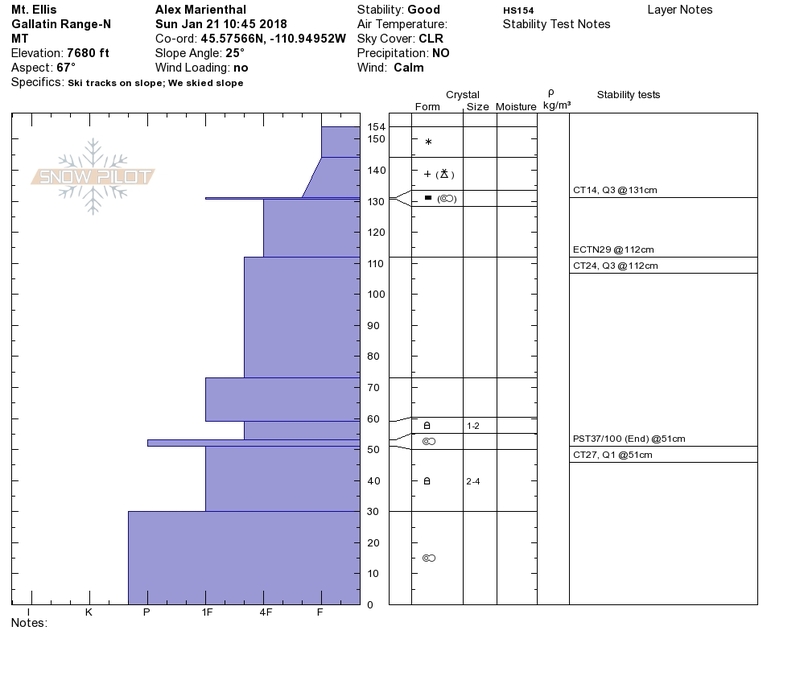 For more spring travel advice see this article from our GNFAC forecaster blog.